The two countries may be separated by the same language, and have a tendency to interfere in each other's politics from membership of the EU to gun control, but the differences between the US and the UK is surprisingly nowhere more profound than with television. 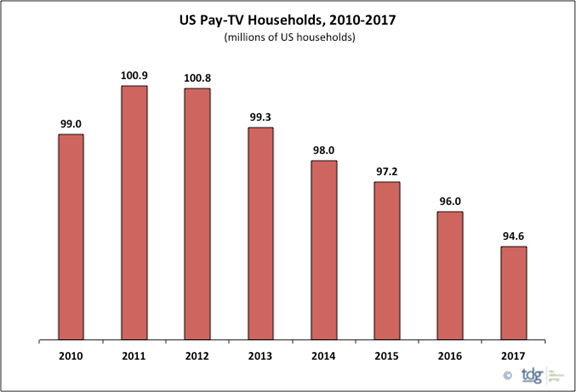 Payment for TV services has been declining in the US (from an already low base per head), whilst it is inexorably increasing in the UK (from a high base). Despite the availability of free TV in the form of YouView and Freeserve, pay TV providers such as Virgin Media, BT Vision and Sky keep on adding subscribers in the UK, whilst, as the graph above shows, cord cutting is becoming much more prevalent in the US. This is ironic at a time when much of the primetime content in both countries comes from common sources and stars now cross both ways across the Atlantic. From House to Homeland, British TV stars are also flavour of the day. 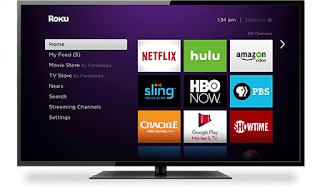 How long before a US cable company comes knocking on the door of Virgin Media (which is listed in the US) ?